This tranquil Bush land park on the Banks of the Ancient Kalgan river is like a lost jewel. Set on 43 acres we have a 9 hole golf course, tennis court and our own boat ramp. We also have single bed Dongas for those just passing through or working in the area. Prices range from $30.00 a night for the dongas to a 3 Br chalet that sleeps up to 12 persons for a starting price of $210.00 a night. Queen size beds and bunks available in most chalets. 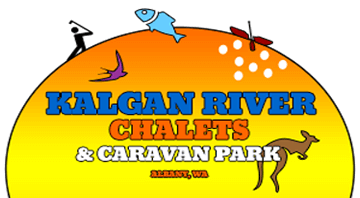 River front powered camp sites available. ablution blocks + dump site. Laundry, disabled toilets and shower facilities.